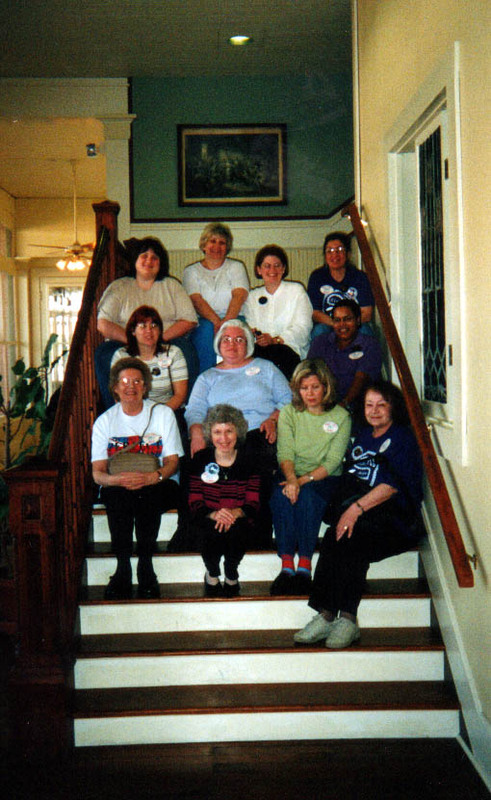 Louise again conducted her class in the upstairs meeting room. She had several students from last year return for continuing Bedfordshire instruction. To broaden the pallete, she also provided instruction in Cluny, which is similar to Bedfordshire. 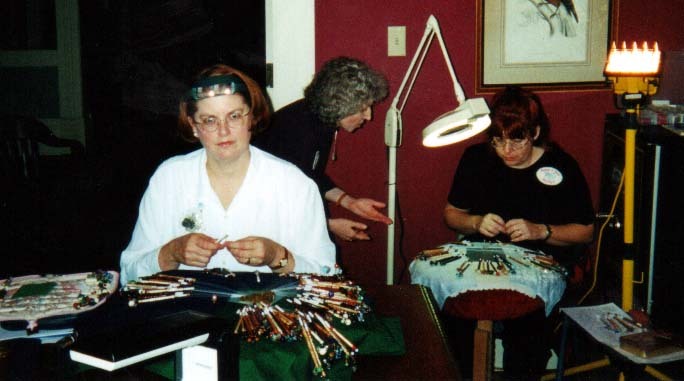 Jan Armentrout looks up as Louise helps Marilyn Boismier with her work. 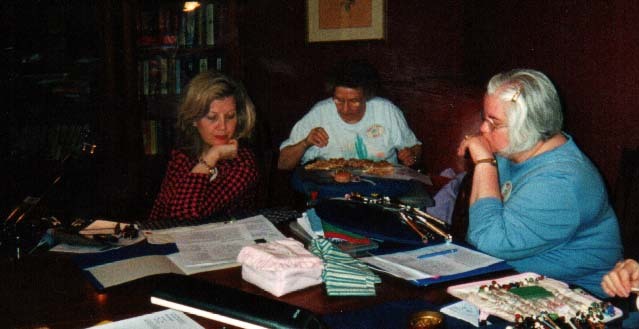 Kathy Betbeze and Dianne Bielstein ponder a problem while Beryl Sonnenburg works in her corner. 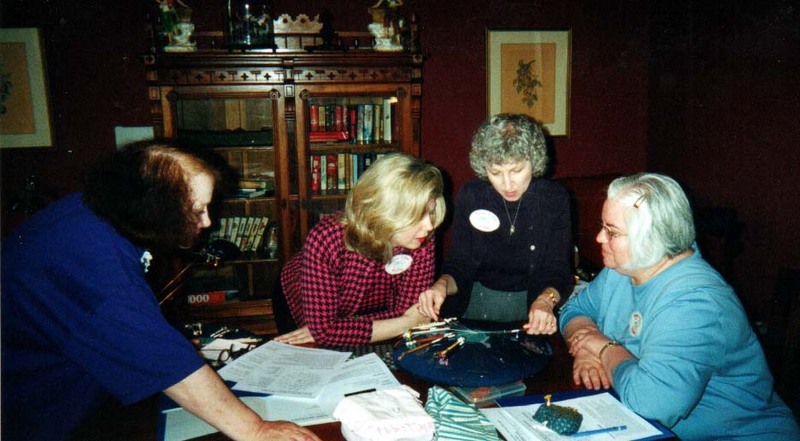 Louise helps Kathy and Dianne with their problem, and Pat Bailey watches on.